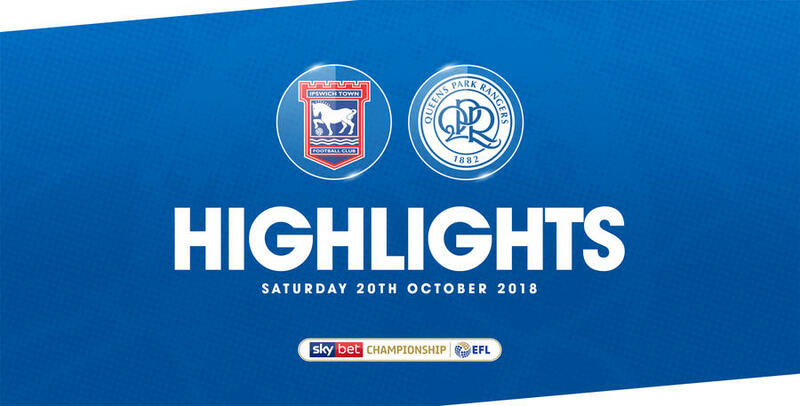 QUEENS Park Rangers have picked up their third away win of the Sky Bet Championship season after downing Ipswich Town 2-0 at Portman Road on Saturday afternoon. A corner from Luke Freeman found its way into the net to open the scoring after 13 minutes before Tomer Hemed converted from the spot on the stroke of half-time to make it 2-0 after Ebere Eze was upended in the box. 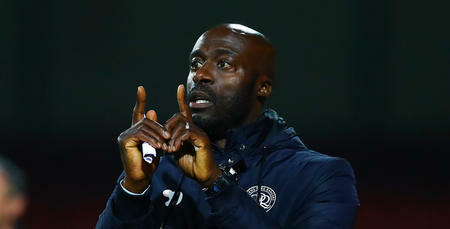 The two goals proved enough for the R’s to seal all three points, extending their unbeaten run to three matches ahead of Tuesday’s tie with Sheffield Wednesday at Loftus Road. Steve McClaren made two changes to his starting line-up, with Pawel Wszolek and Tomer Hemed coming into the side. And it was Hemed who was presented with a fantastic chance to put Rangers into the lead after 11 minutes when he met the end of Luke Freeman’s corner but the Israeli couldn’t keep his header under the bar. Minutes later, the Rangers took the lead after Ipswich were once again caught napping at a corner. Freeman’s clipped delivery caused havoc in the box and the ball somehow bounced its way through a sea of players into the net. Chances thereafter were few and far between for both teams though it was the away side who were enjoying most of the possession. Ipswich’s Grant Ward should’ve tested Joe Lumley in the 35th minute when the ball fell to him just inside the area but the midfielder mistimed his effort, sending the ball well wide of the target. 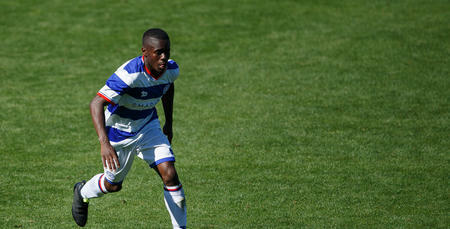 On the stroke of half-time, Rangers were given a golden opportunity to make it 2-0 after Eze was tripped in the area. Hemed made no mistake from the spot, sending Dean Gerken the wrong way to double QPR’s advantage heading into the break. Almost immediately after the restart, Eze should have made it 3-0 to QPR when he found himself one-on-one with Gerken after the home side had coughed up possession, though the Ipswich keeper did well to stand tall and deny the youngster. The game began to open up at both ends, with Lumley called into action to keep out a Ward header while at the other end Gerken got down well to deny Hemed his second of the match. In the 71st minute, Eze again found himself through on goal after being played in by Pawel Wszolek though Gerken was equal to the task, smothering the number 10 as he attempted to get his shot away. Moments later it was Eze who was at the centre of the action once more as the playmaker floated a delightful effort over the head of Gerken only to be kept out by the top of the crossbar. It wouldn’t matter though as QPR comfortably rode out the rest of the game to wrap up what was a deserved victory at Portman Road. The R’s will look to continue their winning run when they welcome Sheffield Wednesday to Loftus Road on Tuesday night before returning to W12 once again on Friday night to take on Aston Villa. 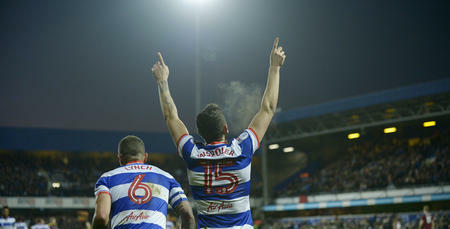 WATCH highlights from QPR’s 2-0 win against Ipswich Town at Portman Road on Saturday afternoon.